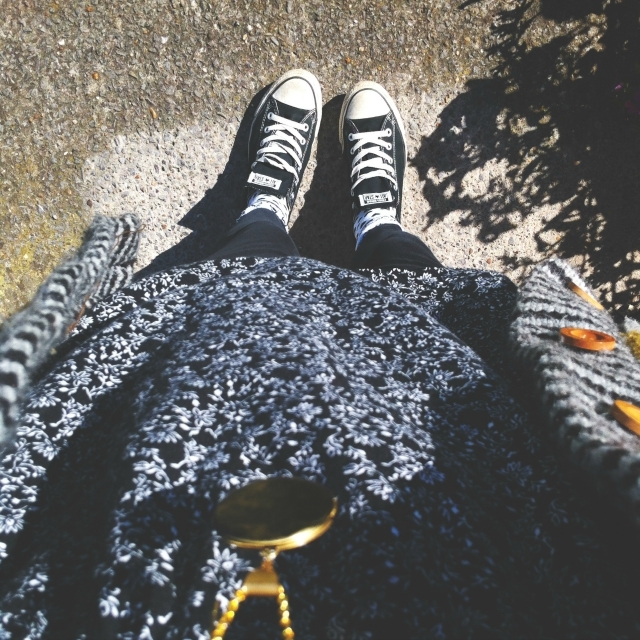 On the 18th September 2015, unbeknownst to you, I decided to share my day with you. 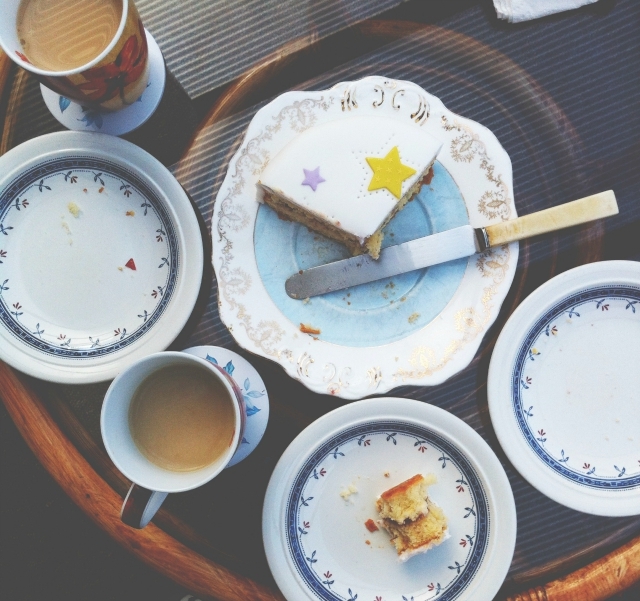 Here's a little photo diary of what I got up to -- expect cake, celebrations, family and more cake. I started my day by saying a sleepy good morning to the new additions to the family. 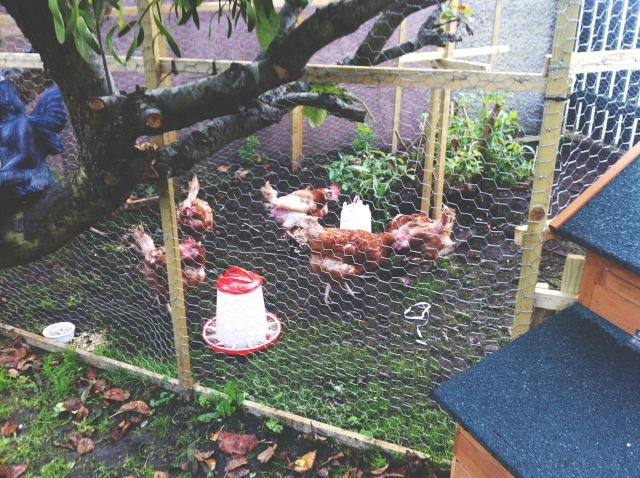 We now have 6 chickens: Amy, Liz, Rachel, Jill, Winnie and Mae. They're all named after loved ones that have passed away...and Amy Winehouse. I also said good morning to the pups but there's no way to photograph Jessie using me as a climbing frame and Woody barging through everything in his path to get a decent kiss on the head. It's only now, of course, through the haze of editing, that I realise that this photograph is, in fact, blurry. Great. I have to leave a gap before I can even start thinking about eating in the mornings, unless some kind soul takes pity on me and happens to make me some bacon. 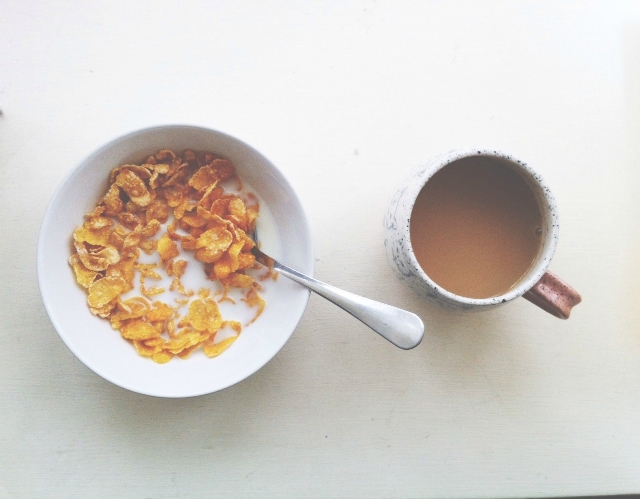 Today was a boring cereal day that I enjoyed with a big mug of decaff. Someone recently added me to a database and now I'm inundated with useless press releases, so my inbox is a fun place to be. 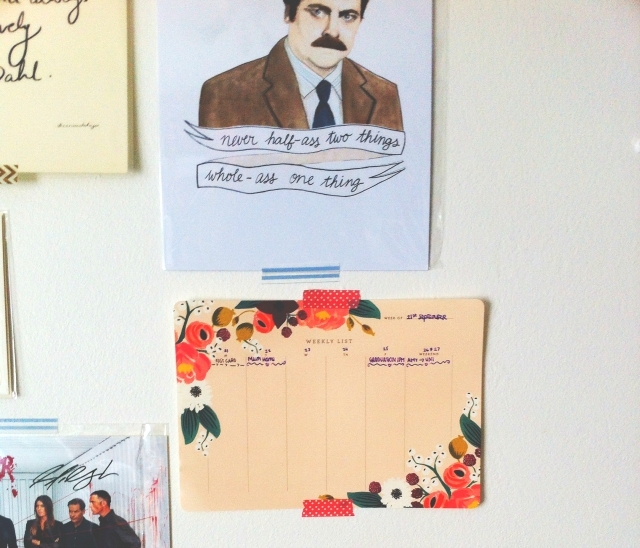 I'm trying to get into a better pattern email-answering wise and it's going okay so far! 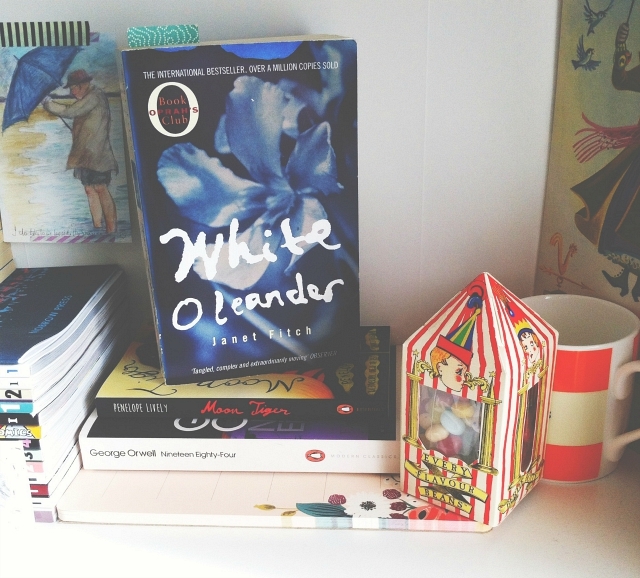 I rewarded myself with twenty minutes or so of White Oleander. My full review will be up next month, of course, but (spoiler alert) I gave it 5 stars. I don't know what I would do without my to do lists and weekly planners. I have to write everything down in order to remember what I'm supposed to be doing so this pad from Rifle Paper Co has been a godsend. Little Cub and I were spending the day at Grandma's to celebrate her 82nd birthday so we headed to the shop to buy some things for lunch and, of course, two birthday cakes. One isn't enough! 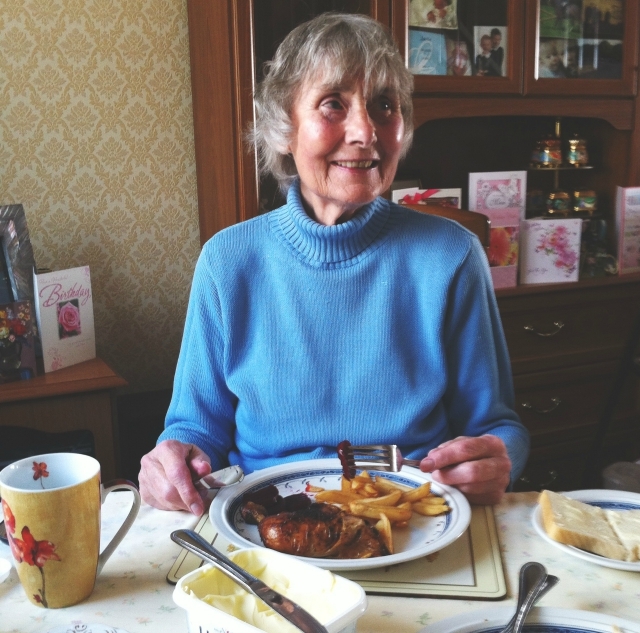 When we asked Grandma where she wanted to go for her birthday lunch, she requested that we instead stay in and have chicken and oven chips. She's a cheap date, bless her! Her appetite hasn't been great lately but she shifted an entire plate of food and it made me really happy to see her enjoy it. 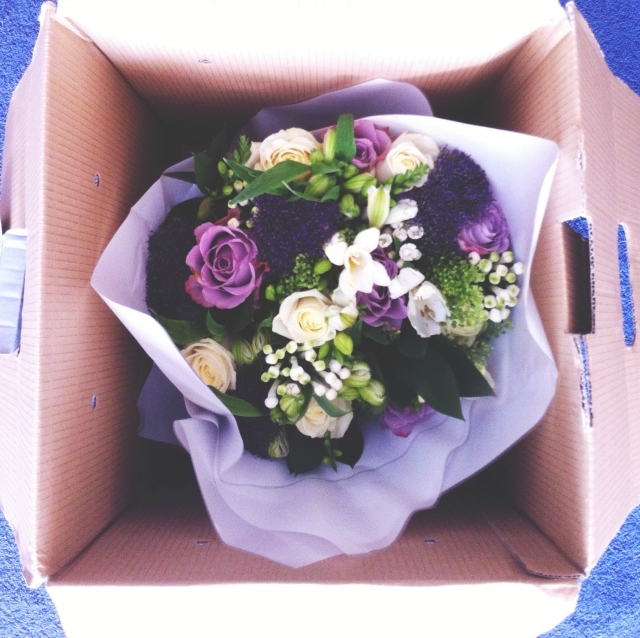 Appleyard London got in touch and asked whether I'd like to test their luxury flower delivery service and, knowing that it was Grandma's birthday coming up, I jumped at the chance. 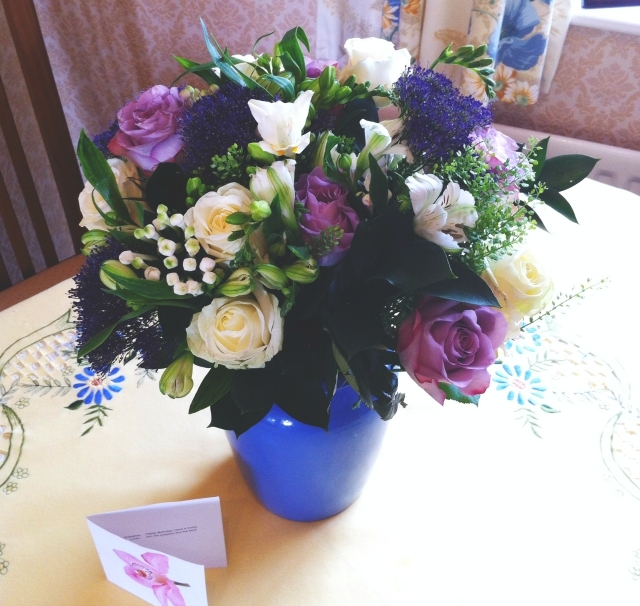 If there's one woman who knows her flowers, it's my Grandma. It's safe to say I made an excellent choice in this Harmony bouquet because she has not stopped showing them off to everyone who comes through the door! 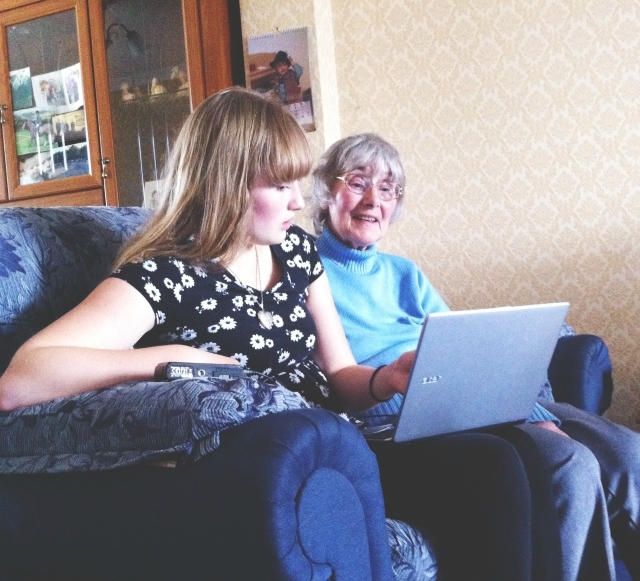 Grandchild points! It did come with a box of chocolates but they went unphotographed and inhaled. Now that I know what the finished result looks like, and pals they're seriously beautiful, I'd definitely send flowers from their of my own accord in the future. Handily, they also offer next day flowers so it's a great option for those of you who, like me, sometimes forget loved one's birthdays until late in the day. Oops. 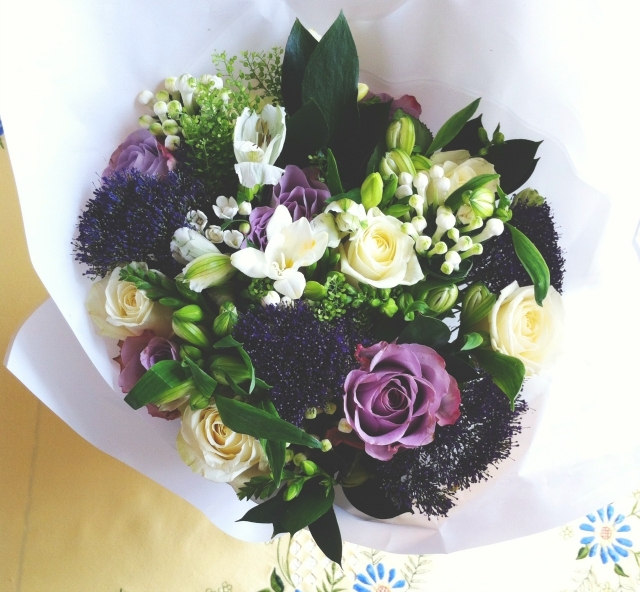 They've given me a discount code for my readers to use to get a sweet 33% off of their range of luxury bouquets - excluding the flowers by post range. Just type in BLOG33 to get 33% off your order! Don't say I don't treat you. The neighbours popped round for mugs of tea, cake and chats about cathedrals, flowers and bus rallies. A mixed bag. A mere hour later, it was time to eat even more cake - this time with Luke and, my sister's boyfriend, Matt. 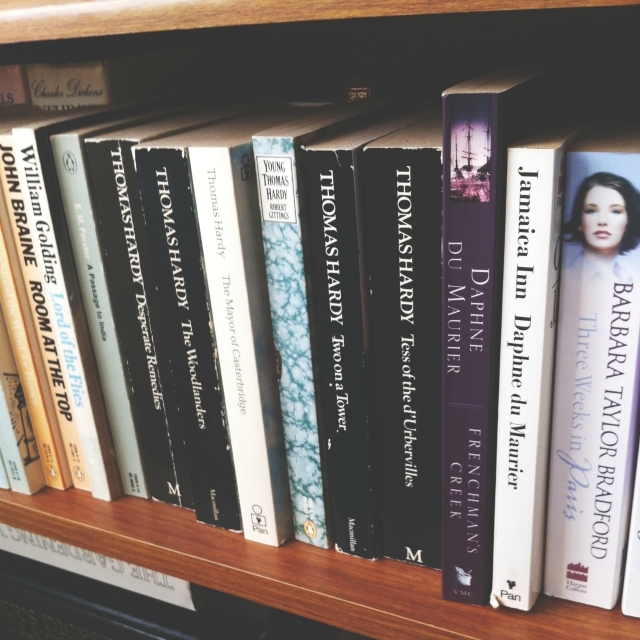 My Grandma and I have a shared love of literature, so we can often be found discussing it in some form. 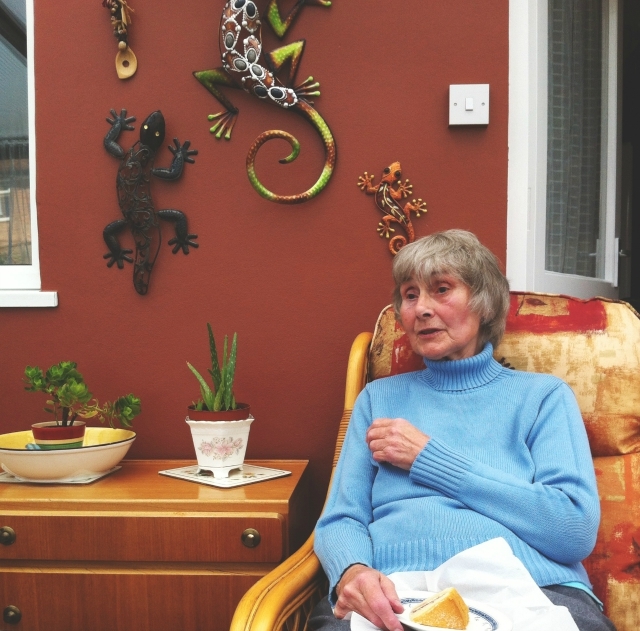 When I lived with her a couple of years back, she would recite poetry to me late into the night. Yes, that was a real life thing that actually happened at least a few times a week. We are straight out of the movies. Little Cub recently went to Longleat so we sat down and went through all of her photographs of escapee penguins before she had to leave us for the evening. Grandma was enthused. 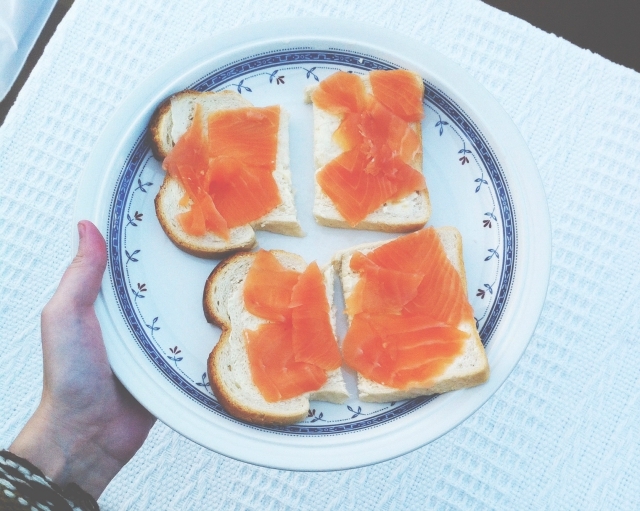 I had some smoked salmon to use up that I had intended to scramble with some eggs, but when the time came I just couldn't be arsed with the dishes so I made myself some salmon and bread and butter! You can't beat it. We settled down to watch some television and, in my Grandma's case, take a lengthy nap. 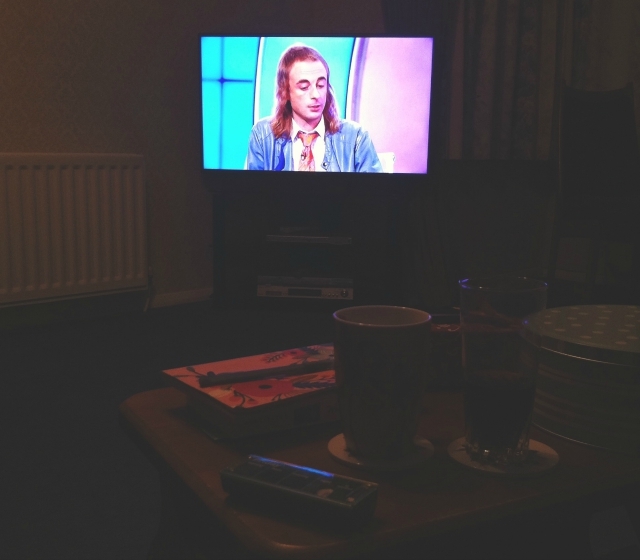 We watched Would I Lie To You?, Grand Designs, Bake Off Extra Slice and Rick Stein's latest show over the course of the evening. I'm a little sad that we didn't watch any murder mysteries because that's quintessential Grandma viewing. 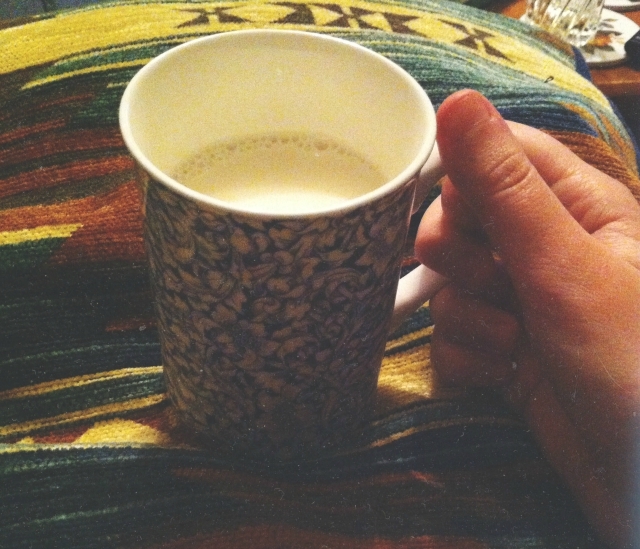 I always make myself a warm mug of milk when I'm at Grandma's, for sentimental reasons. 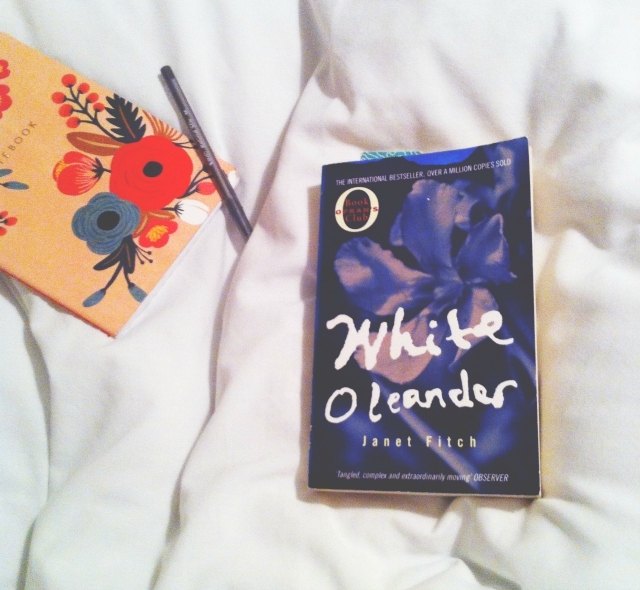 After saying goodnight, I headed to my room and finished off White Oleander. I then turned out the light and thought about the reading experience as a whole. I'm so glad I decided to document this quiet little day with my Grandma and sister, two of my favourite people in the entire world. So many bloggers and youtubers apologise for sharing snapshots of quieter 'homey' days but I like people's quiet. It's comforting. 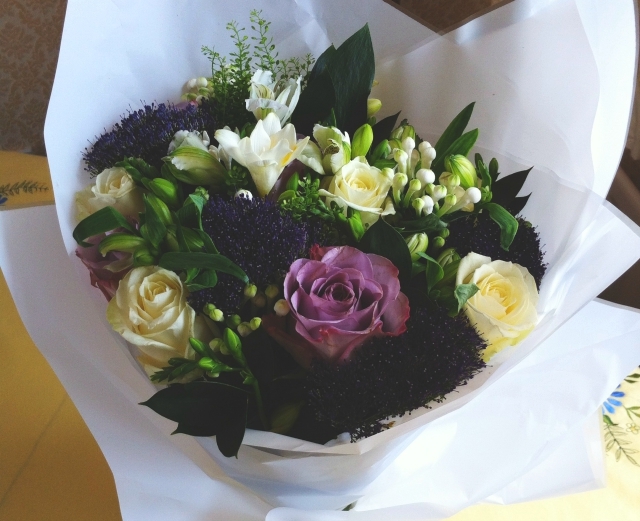 *Appleyard London gifted me a bouquet of flowers for an honest review. All opinions are my own. Aw looks like you had a lovely day - I love seeing what people get up to in a day so interesting! This was so sweet it almost made me cry. Reminds me of days with my grandmother. I would love to see more of these posts. 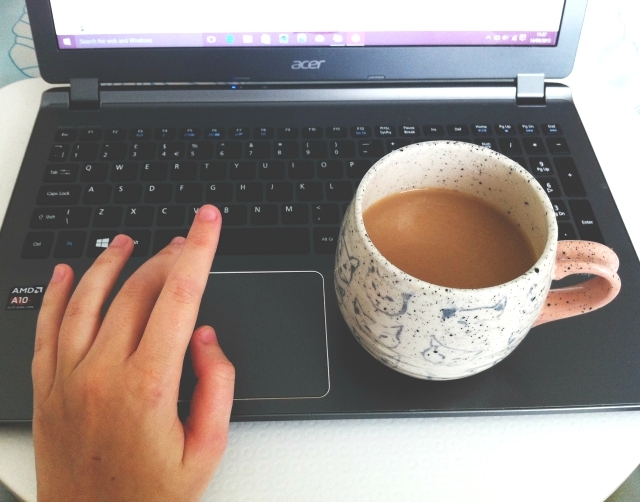 The quiet, simple life with family is what the blogging world needs more of - not less. I loved this so much! This honestly looks like the loveliest day!! You can't beat a day with your Gran and I'm loving her shelfie! What an excellent post idea! Happy belated birthday to your grandma! 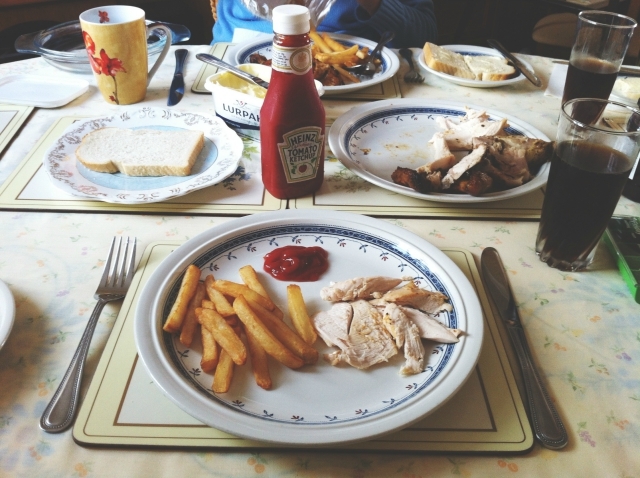 Bless her with her chicken and chips! Like I said in your other day in pictures post, I love this type of post - I find it genuinely so interesting to get a glimpse inside other people's lives.